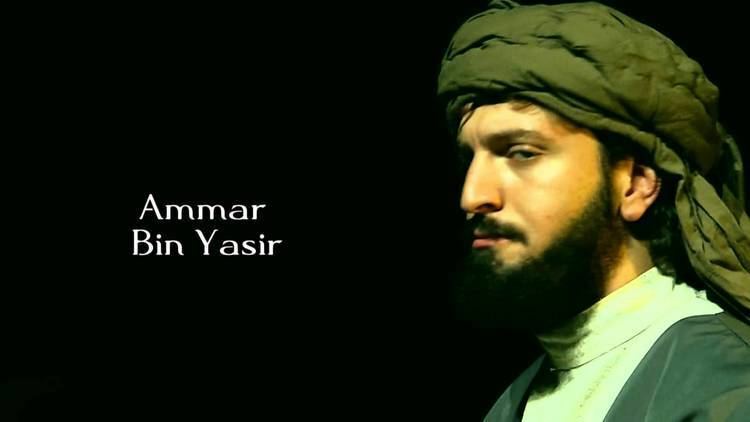 Ammar bin Yasir was one of the early reverts to Islam and belonged to Banu Makhzum tribe. He was born in the year of Elephant in Makkah and was one of the intermediaries in the Messenger of Allah’s (peace and blessings of Allah be to him) marriage to Khadija bint Khuwaylid (may Allah be pleased with her). His father Yasir (may Allah be pleased with him) was from Yemen and migrated to Makkah and settled down there by marrying Sumayya (may Allah be pleased with her), a slave woman. Earlier they were slaves to Abu Huzaifa, but upon his death Abu Jahl, one of the staunchest enemies of Islam took them over as slaves. Ammar, aware of the extraordinary qualities and impeccable character of the Messenger of Allah, did not take much time to revert to Islam. One day Ammar came to the house of Arqam and saw a man standing at its door. The man’s name was Suhaib. Ammar asked him what he was doing there. Suhaib answered: ‘I’ve come to hear Muhammad’s words. And what are you doing?’ ‘I’ve come to hear his words, too.’ Then Ammar and Suhaib came into Al-Arqam’s House. They humbly began listening to Allah’s Words and to the Verses of the Holy Qur’ān. Ammar’s heart began to change. When Ammar and Suhaib wanted to leave the house of Arqam, the Messenger of Allah said to them: Stay here till the evening. He wanted to make sure that no one sees them as Quraish would hurt them. Since then he regularly went to Darul Arqam (House of Arqam), where he began learning about the new religion and the commandments coming through the communications between Allah and the Messenger of Allah. It is also reported that the day Ammar reverted to Islam, his father Yasir saw a dream in which he found himself in a valley. On one side of the mountain there was a split and fire ran across it and on the other side of the fire was a garden where Ammar and Sumayya were standing and calling him to come over to the side of the garden. In his dream he crossed it. The dream turned out to be extremely significant as the same day Ammar brought with him the news of new religion and the revealed words of Allah in the form of Qur’ānic verses. However as expected they had to bear the most brutal and barbaric tortures and persecution ever meted out to the Muslims just for proclaiming that their God is one and Muhammad is His Messenger. The poor and marginalised of the society were the ones who suffered the most and as Yasir and Sumaaya were the slaves to Abu Jahl, who was hell-bent on containing Islam and tried all possible means and measures to dissuade the Messenger of Allah from his mission. They suffered most at his hands and were eventually killed in cold blood for accepting the message of Islam. Their house was set on fire and they were beaten so badly that their cries were heard even in the far off places. Hence Yasir and Sumayya achieved the status of first martyrs of Islam. In the wars post the first fitnah, Ammar always sided with Ali (may Allah be pleased with him) and stood as one of the strongest supporters of Ali. He fought many wars and finally was killed in the Battle of Siffin. He died at the age of 90 and his funeral prayers were led by Ali.